Don't be afraid to get down and dirty! The Lancer Tactical Elbow and Knee Pads attaches securely to the wearer with 2 elastic/Velcro bands. The elastic bands feature a quick detaching buckle for easy use. The protective surface is made of durable plastic, and the underside is padded for extra comfort. This allows you to really get into the game and get into the perfect position to put pressure on your opponents. The set comes complete with 2 knee pads and 2 elbow pads. 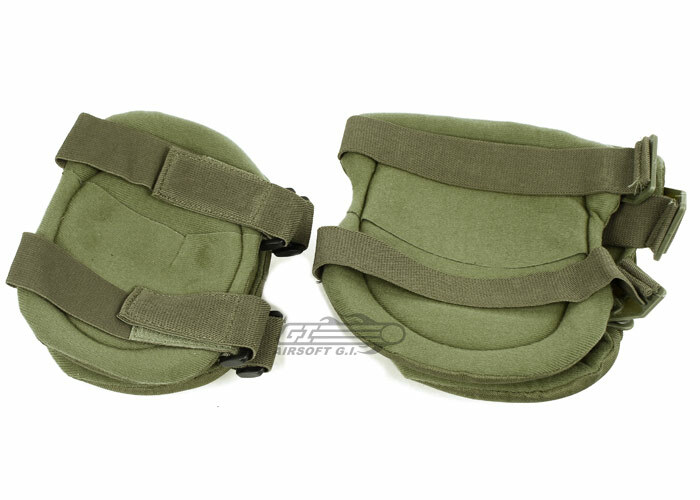 This pad set comes in an OD green finish, great for green team kits. 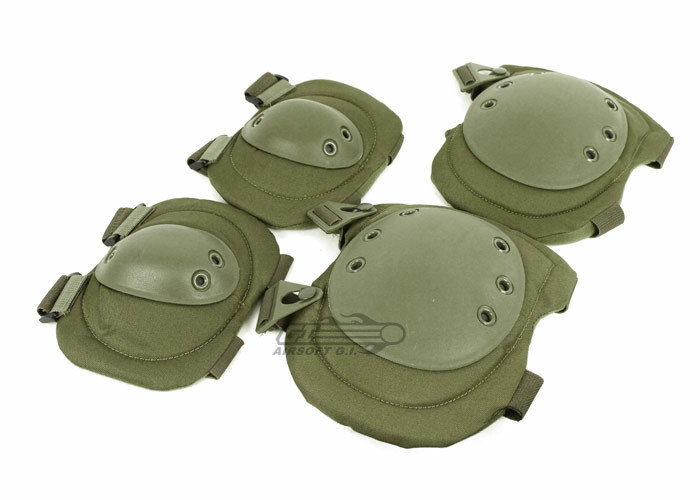 These are large knee pads and elbow pads. They're made of solid material for the amazingly low price. I unfortunately wouldn't purchase these again and would suggest you buy volley ball knee pads and wear them under BDU's instead of purchasing these. The lack of Velcro and ability to stay put when placed on the knees and elbows shows the lack of quality inputs in these pads. They provide knee protections and if tapped into place they stay put. It's easy to go down to a knee with these yet they don't stay put very well. The knee pads don't stay in place and the plastic is of poor quality. I would not purchase these again for their lack of usability in the field.